The Eclipse Textiles and Charles Parsons marketing teams have combined forces, excitedly working hand in hand for some time now. They have both managed to sprinkle the perfect amount of magic over the Eclipse Textiles brand that we all know and love. 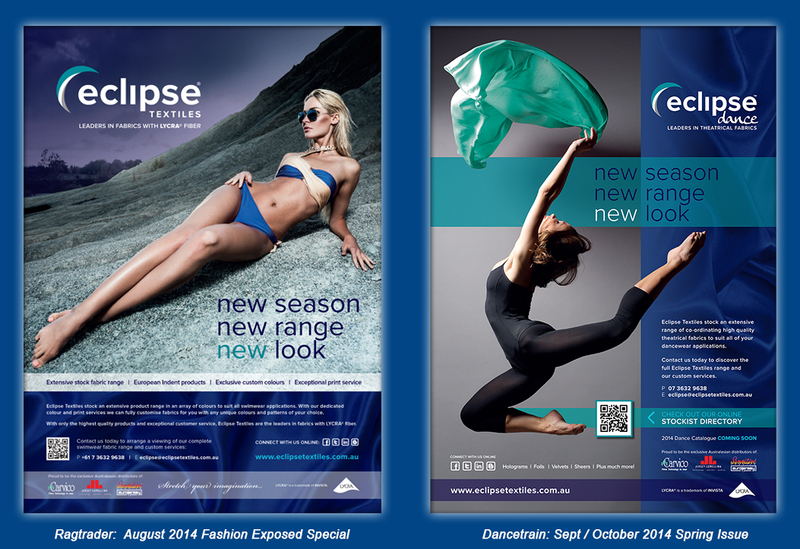 The new fresh and modern take on our logo, including the new branding approach have created a more contemporary feel, although still retaining the important Eclipse Textiles brand identity that we all know and trust since we were established in 1987. The Eclipse team are thrilled that Charles Parsons are not only showing commitment to supporting their new entity, but are also excited to have us on board. This is only the beginning of what is yet to come so watch this space, and keep an eye out for our new look across your favorite industry magazines. Eclipse will be staying innovative and connected with each market we cater for even more so than in the past due to the stronger connections we now have, and the fantastic team supporting us in the background. Even though our new look has changed, rest assured, we continue to maintain our true core values, high quality product and personalized customer service which have made Eclipse Textiles the success we are today. You may have experienced a few bumps along the beginning of our new journey, and we appreciate the commitment and patience from our loyal customers as we have settled into our new home. Now it is not only smooth roads ahead, but all systems go!